Rafael Nadal and Roger Federer will meet for the eighth time in a Grand Slam final when they contest the Roland Garros championship match on Sunday in Paris. Nadal has won five of those matches and leads their overall FedEx ATP Head2Head 16-8. 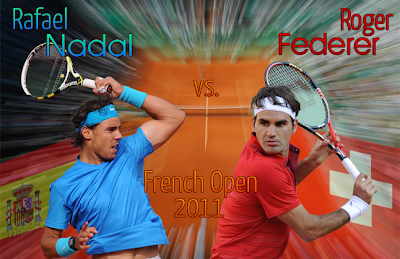 It will be the pair’s first meeting in a major final since the 2009 Australian Open, when Nadal prevailed in five sets. They will clash in the Roland Garros title match for the fourth time after Nadal defeated Federer in three successive finals from 2006-2008. In 2008 Federer was handed his worst ever defeat, in terms of games won, as Nadal triumphed 6-1, 6-3, 6-0 in the most one-sided Roland Garros final since 1977. The 29-year-old Federer is chasing his 17th Grand Slam championship and his first since the 2010 Australian Open (d. Murray). At the age of 25, Nadal is bidding to equal Bjorn Borg’s record and become just the second man in history to win six titles on the Parisian clay. The Spaniard has a staggering 44-1 record at Roland Garros, winning titles from 2005-2008 and again in 2010; his lone loss came at the hands of Robin Soderling in the 2009 fourth round. Despite Federer’s victory over Djokovic in the semi-finals, Nadal’s position atop the South African Airways 2011 ATP Rankings remains on the line in Sunday’s final. Nadal will retain the No. 1 spot if he wins, but will be usurped by Djokovic should Federer triumph. 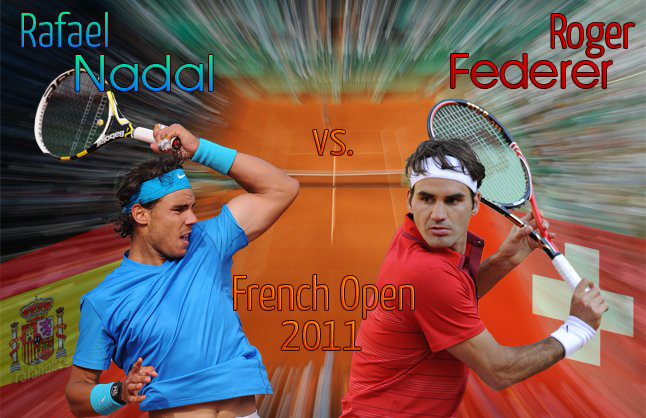 Sunday against Roger Federer, starting at 3 PM CEST, 2 PM BST, 9 AM EDT on Court Philippe Chatrier.